Rezza takes a new approach to data analysis. 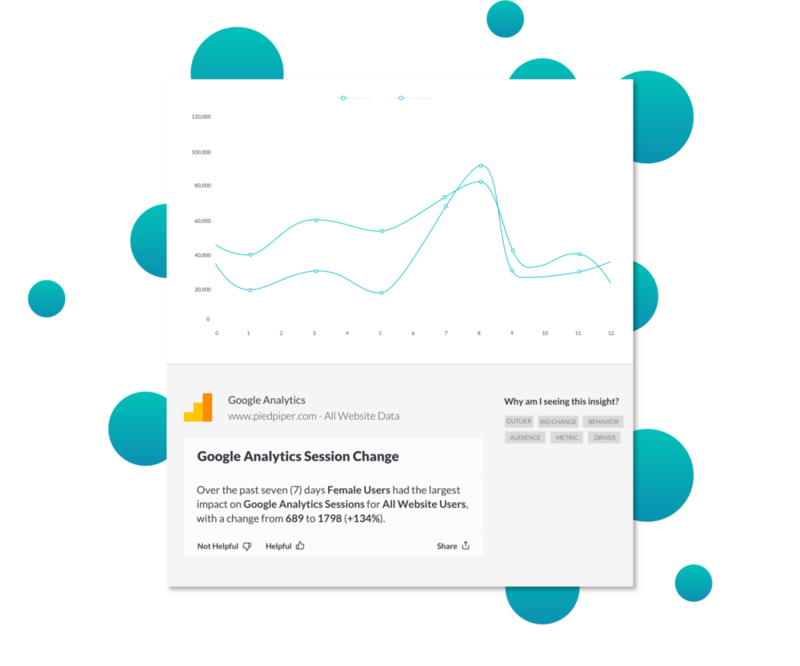 Instead of creating dashboards and building ad-hoc queries, Rezza continuously analyzes every aspect of your Google Analytics, ad campaigns, and e-commerce data to detect and optimize new revenue opportunities. 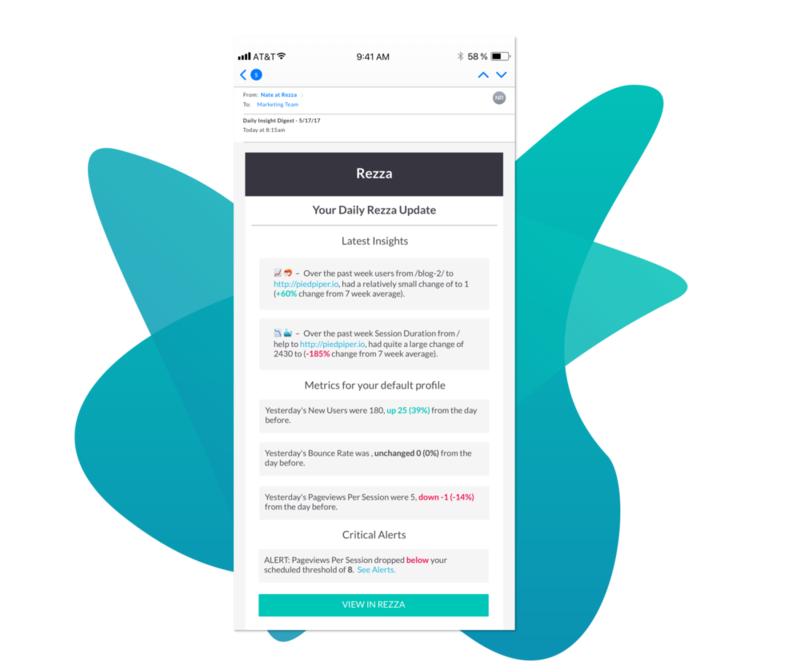 Rezza is a truly intelligent AI that automatically detects, distills, and delivers revenue-generating insights when and where you need them. Automate complex data analysis and spend more time taking action on actionable intelligence. Understand how your campaigns affect customer behavior and convert to revenue. Optimize goal conversions and unlock insights that increase your bottom line. What Insights will Rezza find for you? Understand which audiences are underperforming or excelling so you can optimize spend. Rezza looks for discrepancies between systems so you know exactly where you're converting. Rezza provides the info you need to find and target the audiences that you care most about. Stale creative destroys great marketing. Rezza finds creative opportunities to help you stay fresh. Find out how your metrics compare to your competition and discover new ways to lead the pack. Always know when key metrics are rapidly rising or falling so you can take action right away. We usually find about 40-50 insights for a new user. It takes less than 2 minutes and it's free. Industry leaders are using data to make smarter decisions, faster. Unfortunately, most businesses lack the time, money, or skills to extract actionable insights. Rezza AI makes complex data analysis simple, removing technical barriers and delivering value-added insights to your entire company. Bring ad tracking and ecommerce data together to detect attribution insights across disparate datasets. Rezza delivers data-backed insights to everyone on your team. No more technical barriers. Gain a competitive advantage with proactive, super-intelligent insights, alerts, and goals. 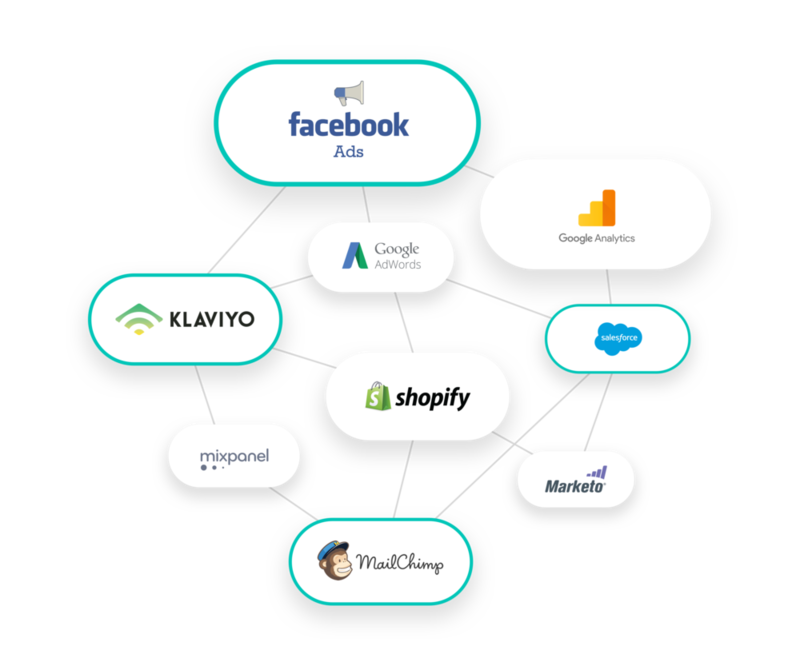 Optimizing conversion flows across ad networks, analytics tools, and tracking systems is complicated. Businesses need a way to quickly and easily understand what's important for maximizing revenue and growth. Rezza makes it as easy as 1-2-3. No technical teams or expertise required. Rezza automatically imports and connects disparate data, creating a single access point for all of your key business data and analysis. No tech teams required. Rezza handles the complex data analysis, empowering business users to gain access to data science insights and techniques without the technical barriers. Stop staring at dashboards and let Rezza track and analyze data for you. Actionable intelligence that enables you to proactively manage growth. Find Hidden Revenue Opportunities, Today. Get started for free! Let Rezza analyze your data so you can grow your business.